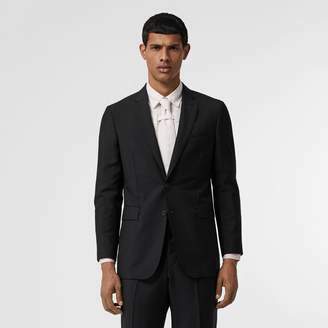 A slim-fit suit created with an unstructured shoulder - a casual update to our tailored styles. The design is cut from an Italian-woven wool and mohair blend. Made and hand-finished in Italy, it has a half-canvas construction with several layers of natural horsehair to create a structured chest and soft lapel roll.